I love my job! 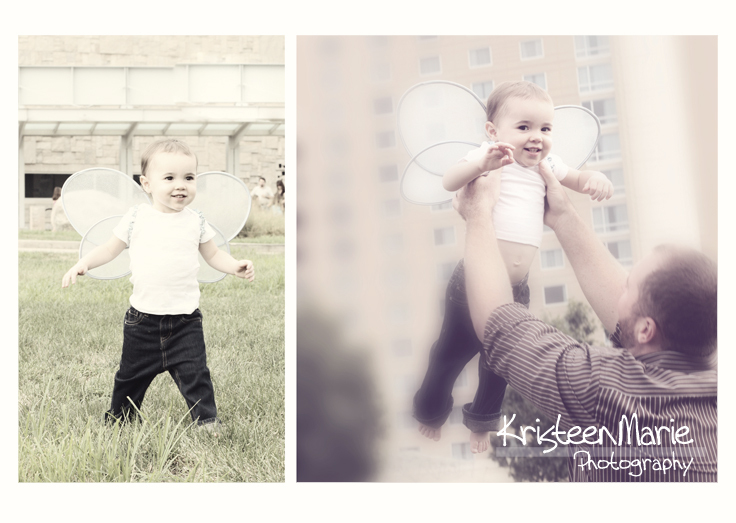 Who else gets to work with beautiful kiddos and sweet parents like these ones all day?! 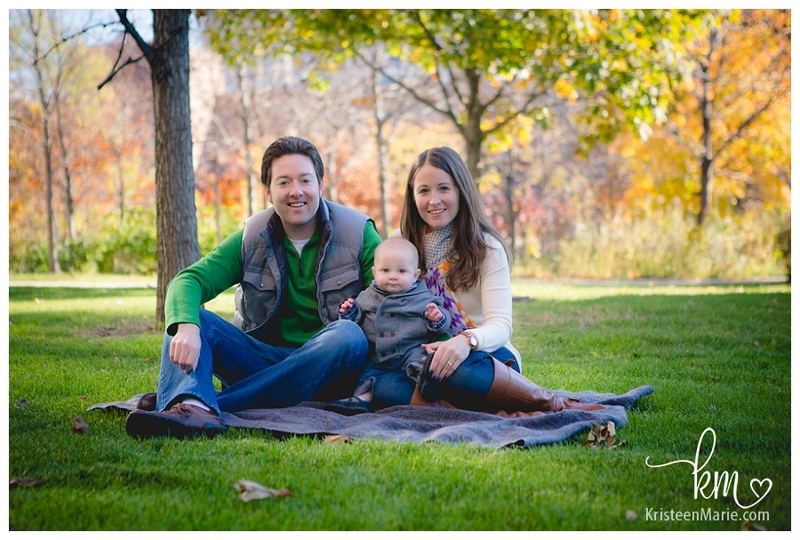 Meet adorable six month old Issac and his family. 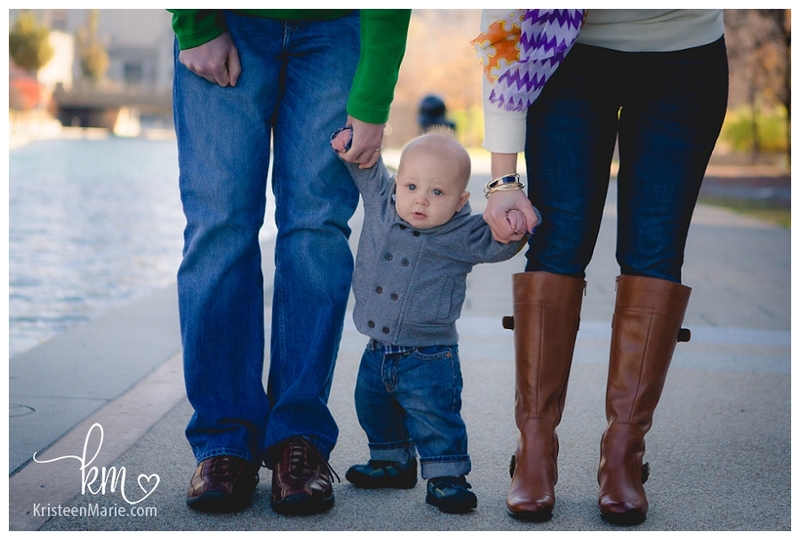 Even though it was a bit chilly outside we had tons of fun in downtown Indianapolis taking child and family pictures. 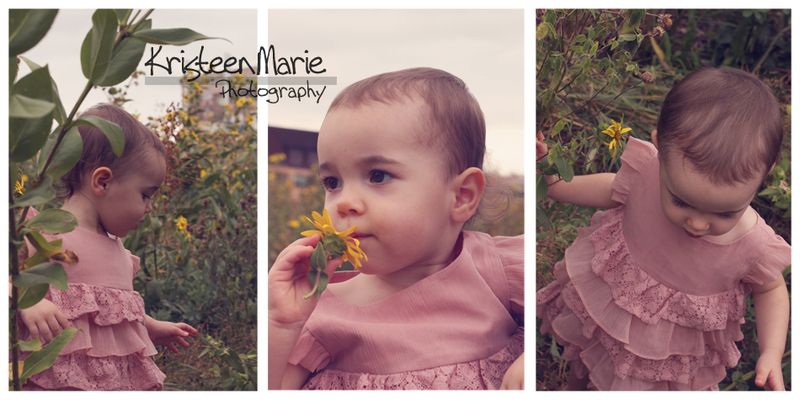 If you are looking for child photography in Indianapolis be sure to reach out to KristeenMarie Photography to check on availability and pricing. I was a little concerned about this shoot before it started as the groom-to-be had just ruptured his alkalies! So he was on crutches and had a cast up to his knee. But these two were troopers. 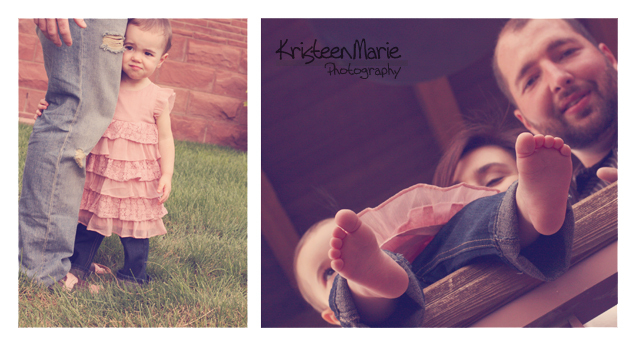 They still did their session as planned and rocked it out! These two laughed through the entire session (thought they may have been laughing at me – not sure 😛 ). It was a beautiful night on the canal at White River State Park. 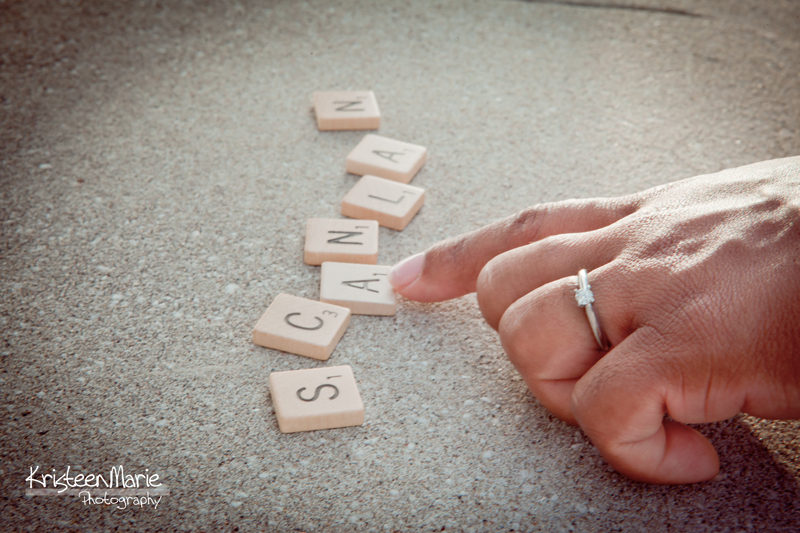 No engagement session would be complete without at least one photo of the engagement ring. 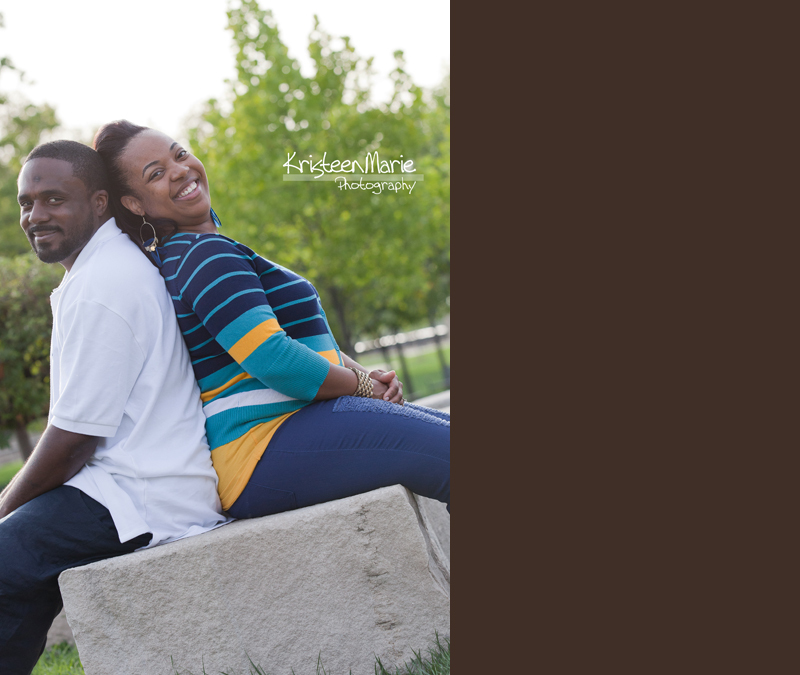 Are you looking for an Indianapolis engagement photographer? Look no further – contact Kristeen for pricing and availability. 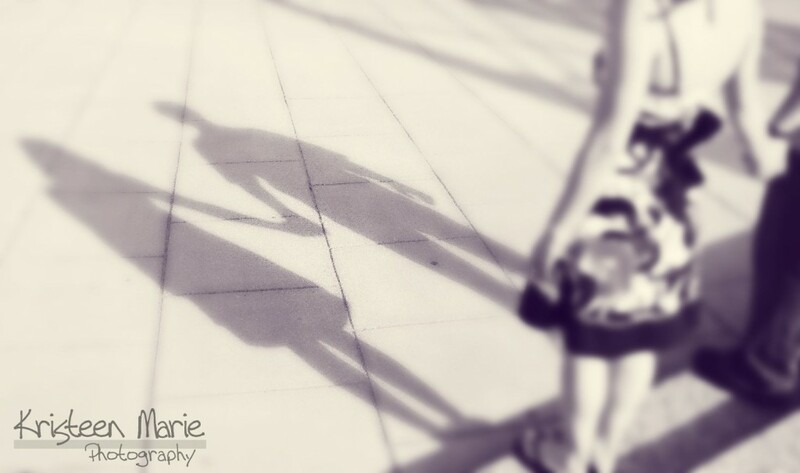 Indianapolis is a great city and there are TONS of great places in Indy to take pictures. 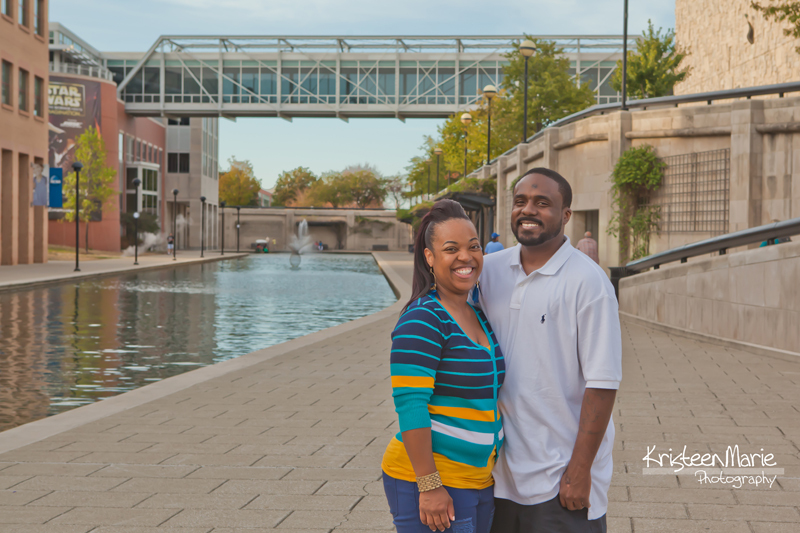 It doesn’t matter if you are looking for the hottest places to take engagement pictures in Indianapolis or the best family photography locations in Indianapolis. All of these location work well for both types of sessions. I have these locations listed from urban to rustic. 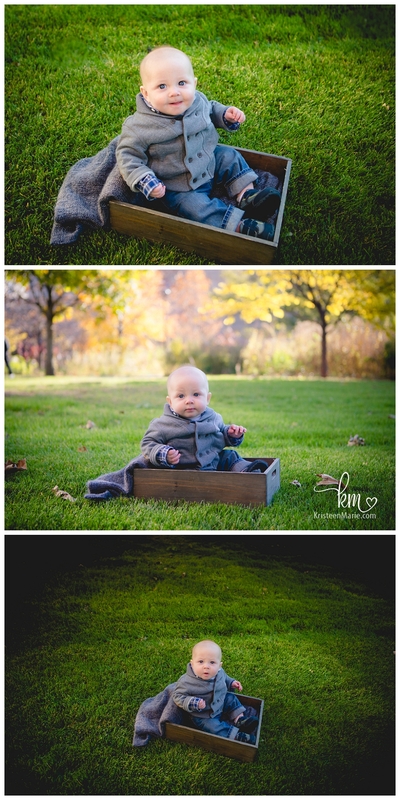 So, if you are more into rustic outdoorsy pictures you might want to skip the first few options. White River State Park / The Canal – This park is in Downtown Indianapolis. This is a great area to get a good variety of backdrops. You can find a mixtures of greenery, city/urban-ness, brick walls, and water features. You will also find the colorful art seen in the picture on this blog post. Broad Ripple – Who doesn’t love Broad Ripple? In Broad Ripple you have the Monon trail, bright colorful store fronts, and awesome bridges. 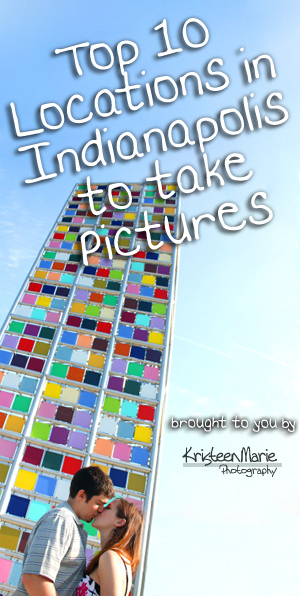 This is a very trendy place to have pictures taken – especially Indianapolis engagement pictures. 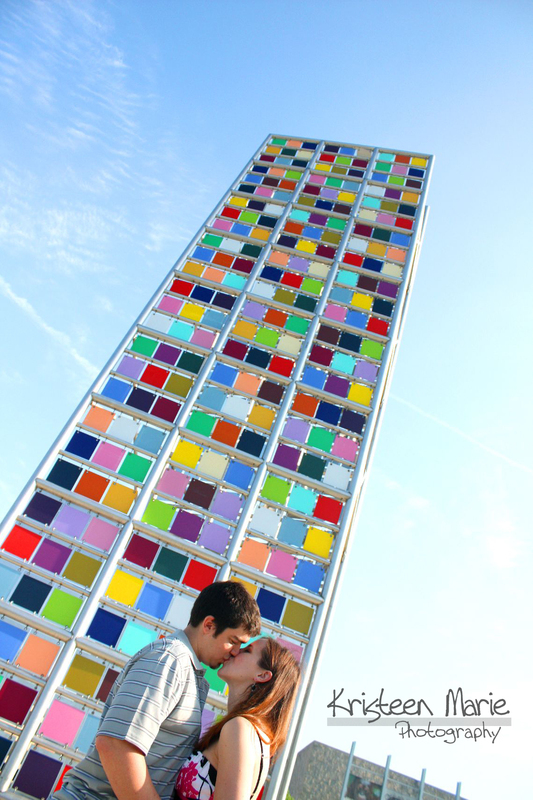 Indianapolis Museum of Art (IMA) – The IMA is located on the near North West side of the city and is home to the trendy LOVE statue. It also has lots of gardens that are groomed professionally. It is truly a gorgeous location! The only catch with this location is that they require a photography permit to take pictures here. This will cost you a little bit and it requires some advanced planning. I love the IMA, but the permit hassle makes this location a little less desirable. In a hope to not sound so negative, if you were thinking about having your pictures taken at the IMA you may want to consider the next location as it is right around the corner… **Update** I now have a yearly pass to shoot at the IMA. 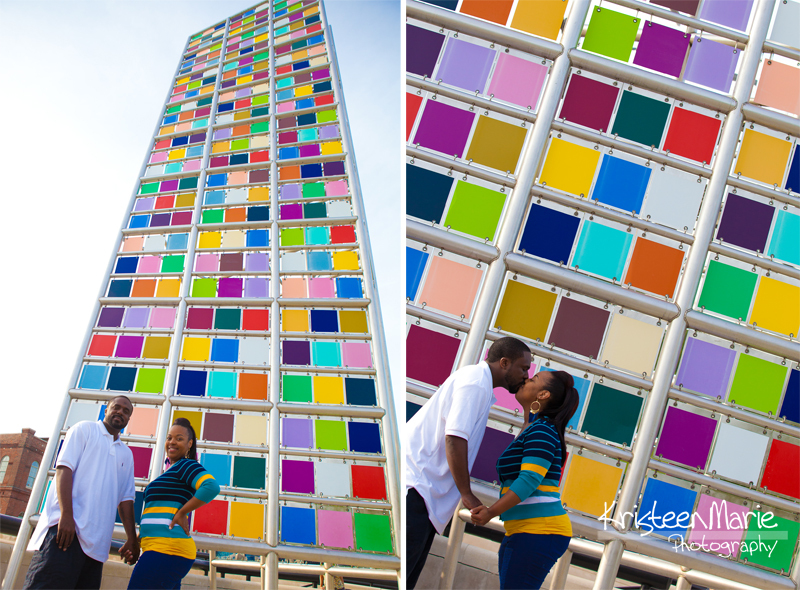 There is now no additional charge or advance planning needed to do your session at this location. 100 Acres Woods – This is such a fun location! It is located right around the street from the IMA. There is a variety of backdrops including water and greenery, a modern basketball court with fun tubing, an interesting tunnel, and stairwells. This area isn’t as well groomed as the IMA, but there are still areas that are professionally groomed. This is a great location for a couple that wants something rustic/outdoorsy but not too country. Garfield Park – This park is located on the south east side of the city. 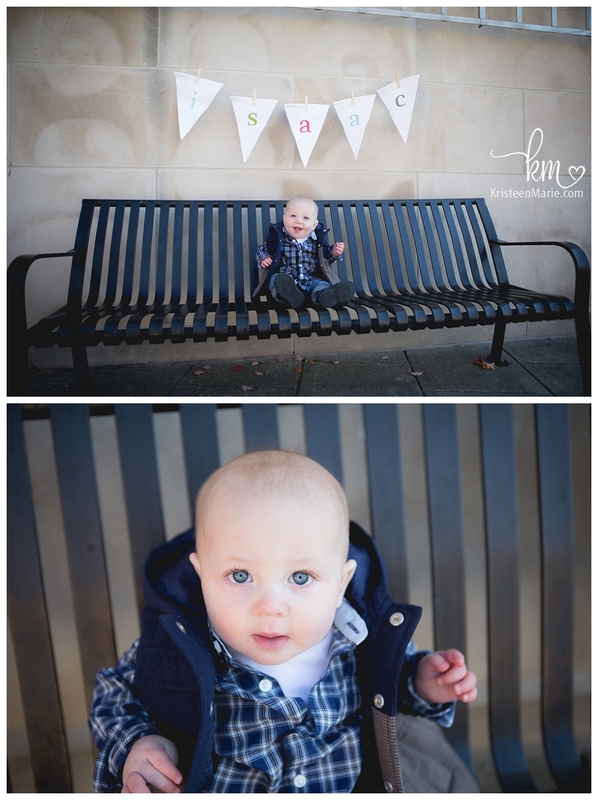 Here you will find three distinctly different backdrops. If you go inside the gardens you will find an indoor greenhouse (there is a permit that is required for this part of the session, but it is very inexpensive and easy to get). Then, if you head right outside the greenhouse you will find professional groomed flowers and a garden. Finally if you keep walking outside the garden you will find a more rustic/natural setting. This last area includes rustic greenery, a fun bridge, walking paths, and even a rail road track. This location is perfect for those unpredictable colder months as there is always the indoor location to fall back on if it is too cold outside for a long session. 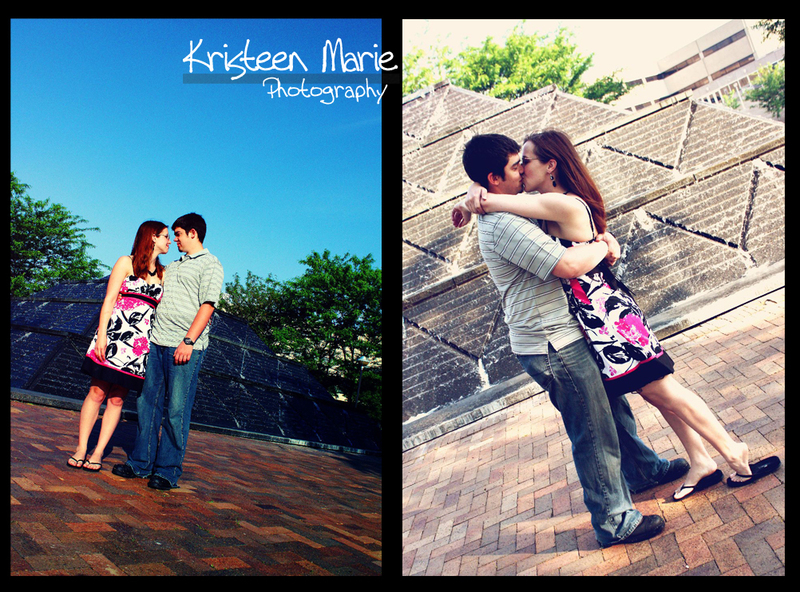 Holcomb Gardens – This may be my favorite place to take pictures in Indianapolis (but they are all great). This location is on Butler University’s campus. But don’t worry, you won’t find any giant Butler logos or any bulldogs here. Instead you will find a giant weeping willow over the canal, a fun bridge, well groomed greenery, an area of ungroomed greenery, a gazebo, and even a little water feature. This location is great all year round! If you have questions about any of these locations, feel free to reach out to me! 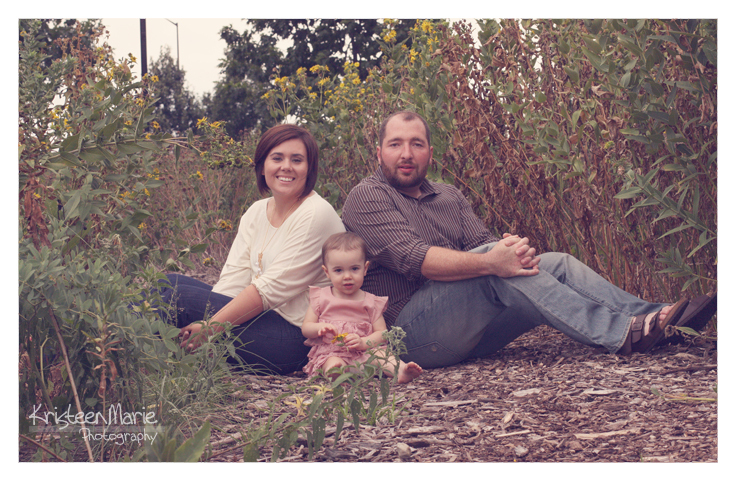 Also, if you are ready to book your engagement or family photography session, contact me today for pricing and availability! 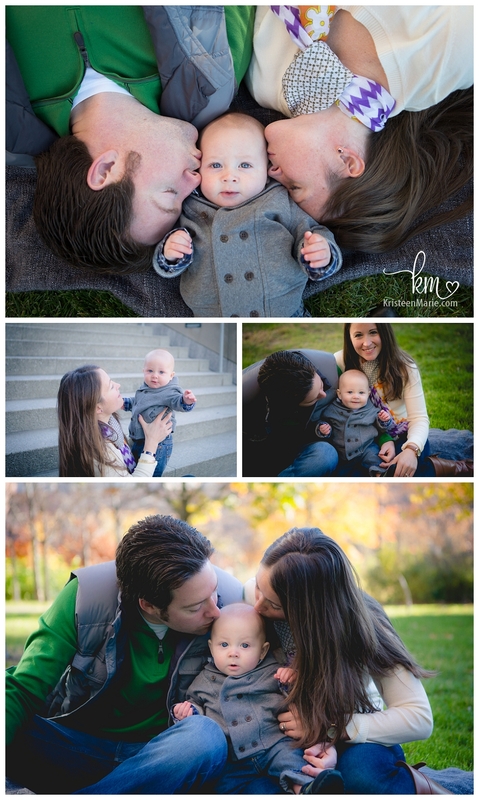 These three made such a cute little family! 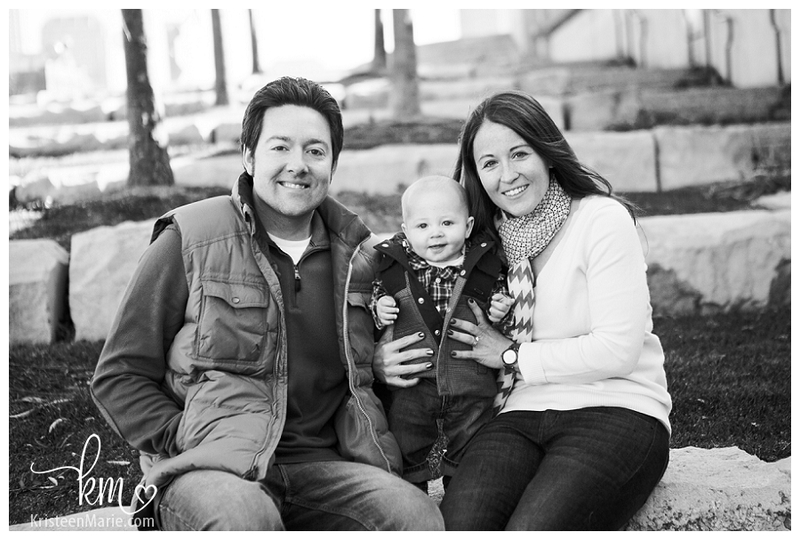 The intention for this session was to go down to the Canal to take pictures for this family photography session. 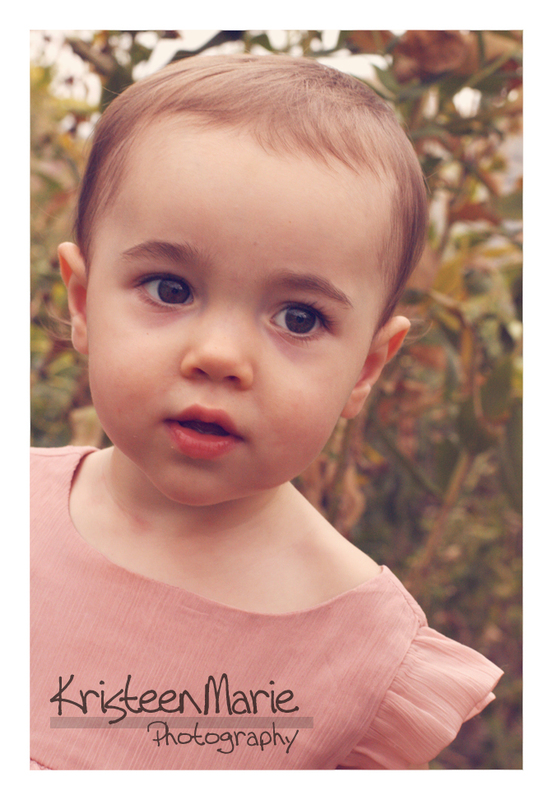 However, little Avery was very easily distracted (like any 1 year old) by all the passer-by-ers. Even though we didn’t get many photos by the canal, we were able to find these less inhabited and even better locations for this session. I love feet – in a sweet I don’t want to touch them type of way. Especially cute little baby feet. We will end with a traditional family shot. Hope you enjoyed the pictures. 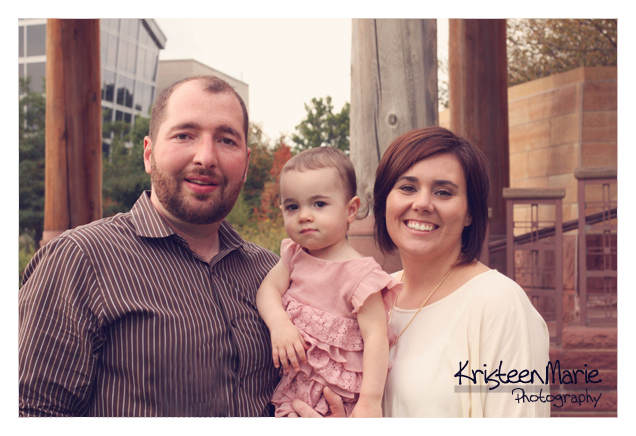 Leave a comment and let the Barber family know which photo is your favorite. Christa and John met while attending Indiana University Purdue University Indianapolis (IUPUI). 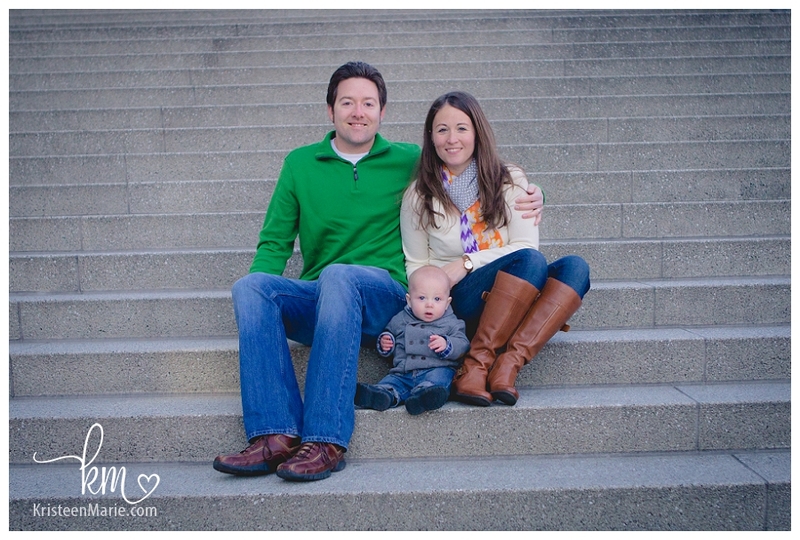 Their first kiss happened at the fountain on campus, then later John popped the question at the same spot. 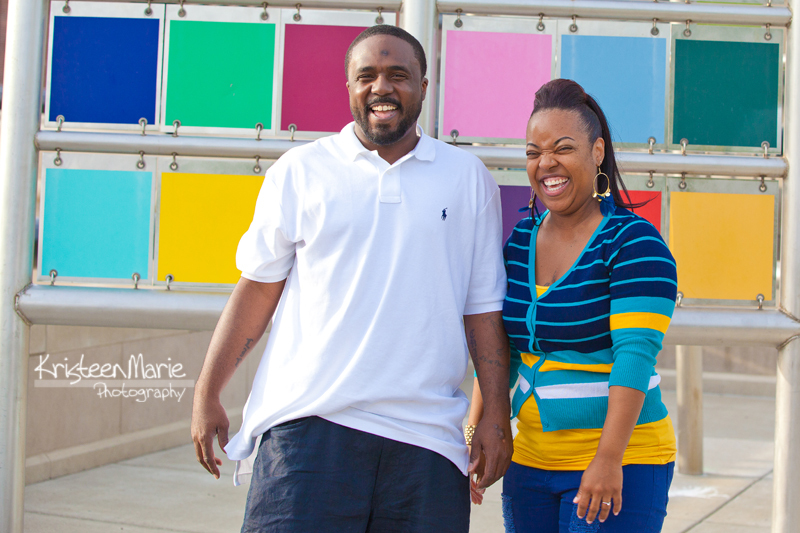 It was only fitting that they take their engagement pictures in front of the fountain!